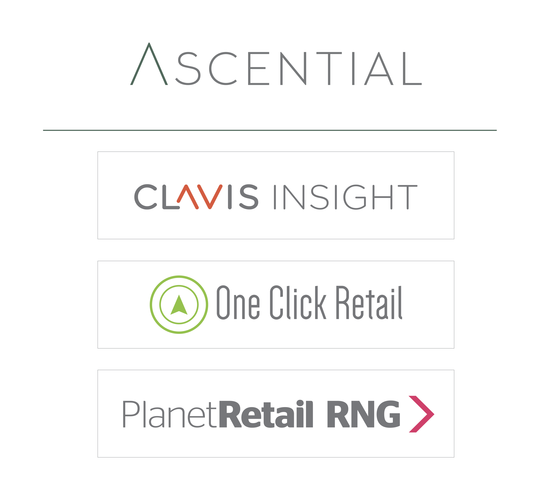 Clavis Insight, One Click Retail and PlanetRetail RNG, all Ascential brands, have joined forces, with a shared vision to be the Definitive Source for eCommerce insights and advisory services. Clavis Insight, PlanetRetail RNG and One Click Retail empower brands with the most accurate, actionable and comprehensive insights to drive performance across fundamental attributes of eCommerce success like digital retail strategy, market share, traffic & conversion, search optimization, and price analytics. Together, they partner with over 10,000 of the world’s largest brands in every region of the world, including Procter & Gamble, Panasonic, Nestle, Hasbro, L’Oréal, and Hamilton Beach.